Kyrgyz President Almazbek Atambayev signed a decree, according to which the country will celebrate "Days of History and Memory of Ancestors" on 7 and 8 November. He recommended Jogorku Kenesh (Parliament) to amend the Labour Code declaring these dates as holidays. The website of the head of state published the corresponding document. It follows that Atambayev united several memorable dates in the "Days of History and Memory of Ancestors" - the anniversary of the uprising against the Russian Empire of 1916, the anniversary of the Russian Revolution, and the Day of Remembrance of the Victims of Political Repressions during the Stalin regime. 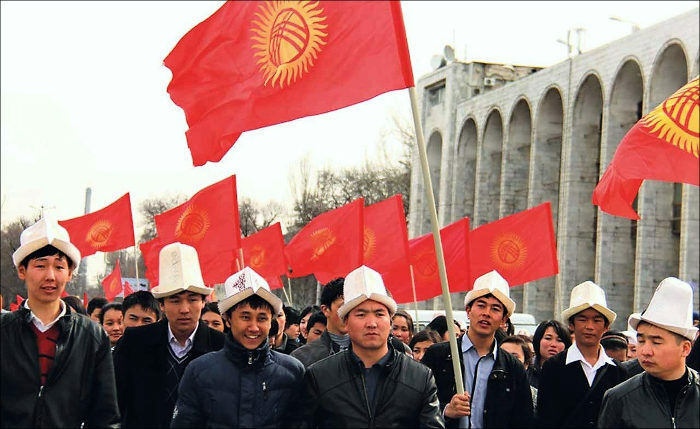 The presidential decree says that the Kyrgyz people, through their three-thousand-year history," carried the idea of statehood," from generation to generation "passing the coveted dream of independence." "The people's striving for freedom was the main driving force of the events of 1916. The cruel suppression of the uprising by tsarist punishers, the numerous cases of the massacre of civilians and their forced flight to a foreign land put the people of Kyrgyzstan on the brink of survival," the document says. It also states that the most dramatic events with the highest number of victims occurred precisely in the autumn of 1916. As for the Russian Revolution, the document says that following the uprising of 1916 it "created the prerequisites for the Kyrgyz people to revive their own statehood." Recognition of the achievements of this period, the document stresses, "shaped the generally positive attitude of the people of Kyrgyzstan to the Great October Socialist Revolution." However, paying tribute to the "positive changes that have occurred in the life of the people in the Soviet period," one should also remember the tragic pages of history, in particular, the political repressions of the 1930s, which affected many figures of the republic. The uprising of 1916 in Central Asia, including in the territory of modern Kyrgyzstan, began after the Russian Emperor Nicholas II issued a decree mobilising the male "alien" population of Turkestan and the Steppe Land at the age of 19 to 43 years for front-line works. The suppression of the mutiny led to numerous victims among the residents forcing many of them to flee beyond the Russian Empire.